To paraphrase William Butler Yeats, there are no strangers, only friends we haven’t yet met. 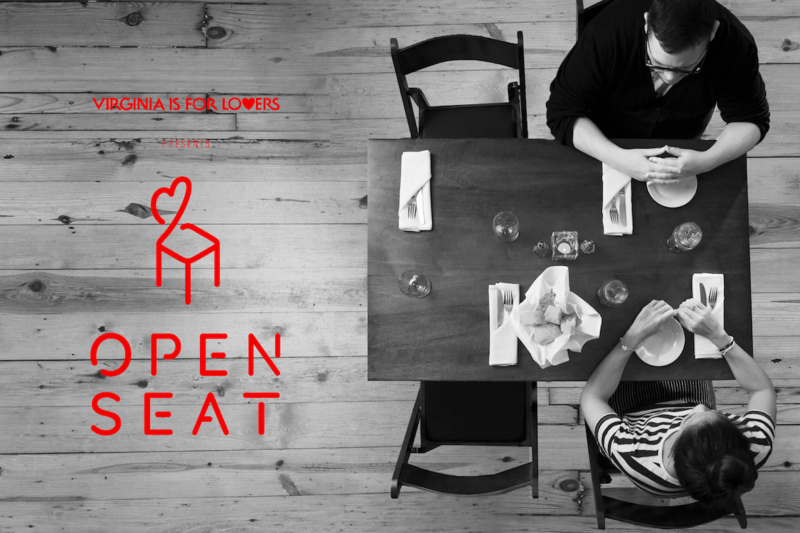 In this spirit, Virginia Tourism and OpenTable are turning open seats into chance meetings at busy restaurants all across Virginia, which is famously “for lovers” — and, also, friends. More than 30 restaurants are participating in this fun program designed to bring the community together by allowing guests to be seated with another person they haven’t dined with before and forge a new connection. To participate, book a reservation at one of the participating restaurants on OpenTable here. Before completing the reservation, simply write “OpenSeat” in the notes section. Groups of any size can participate. Just book for your party, and if there is another diner or diners that also opt in, you may be seated together. In return, you will receive a complimentary appetizer as you connect around the table and get to know one another. A full list of participating restaurants can be found at OpenTable.com/OpenSeat.